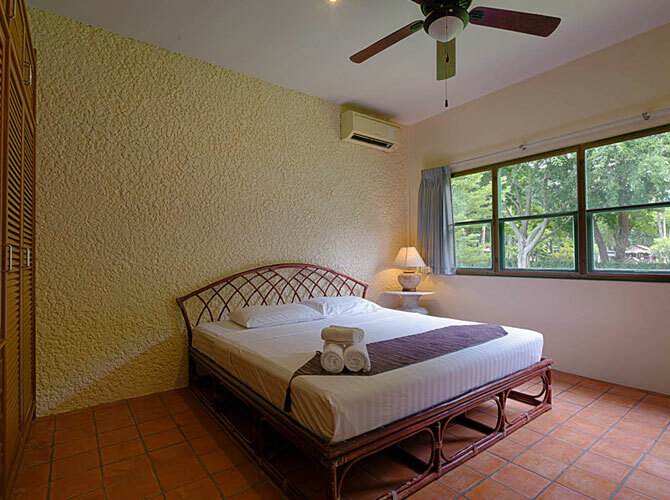 The more spacious two bedroom cottages feature two double bedrooms and one bathroom, a living area and well equipped kitchen. 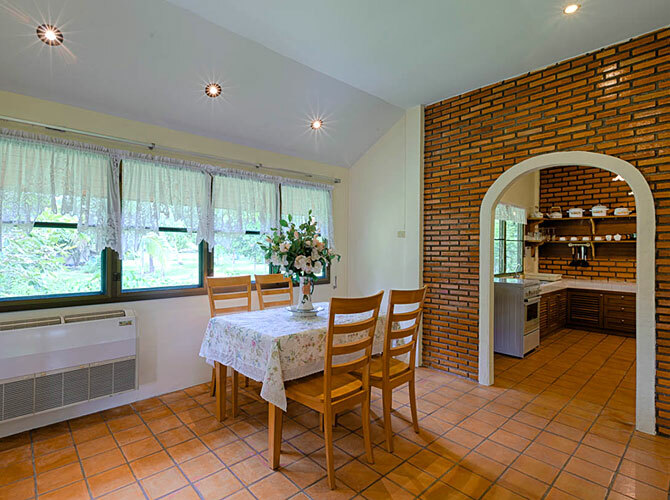 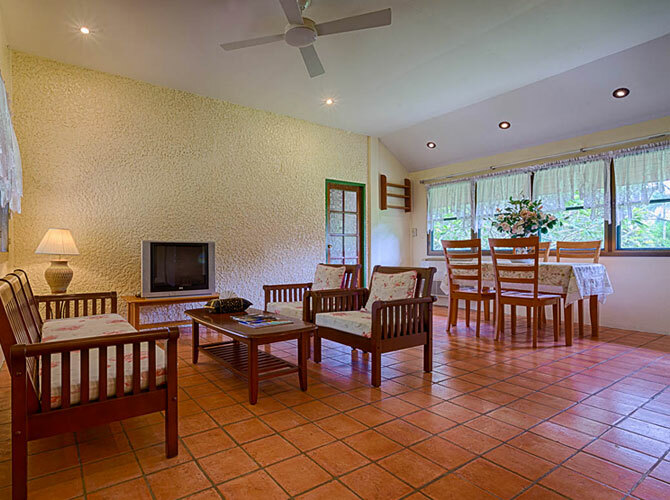 The country style interiors are fully furnished and overlook the lovely gardens. 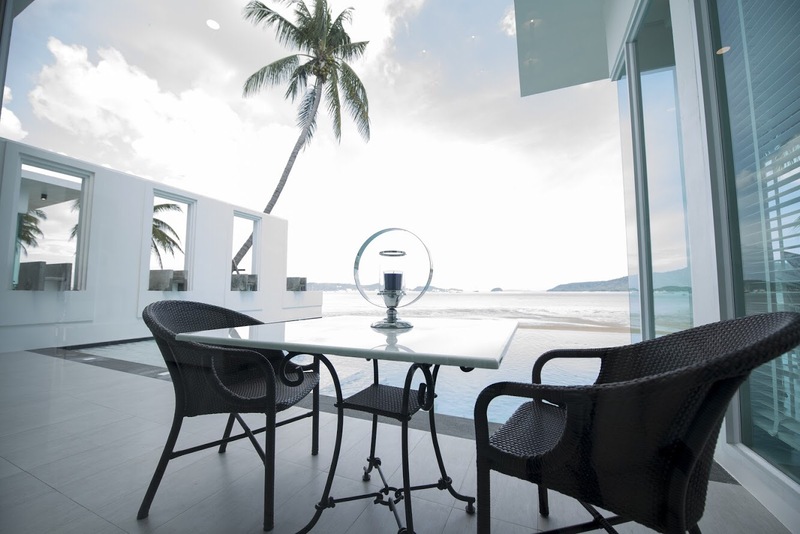 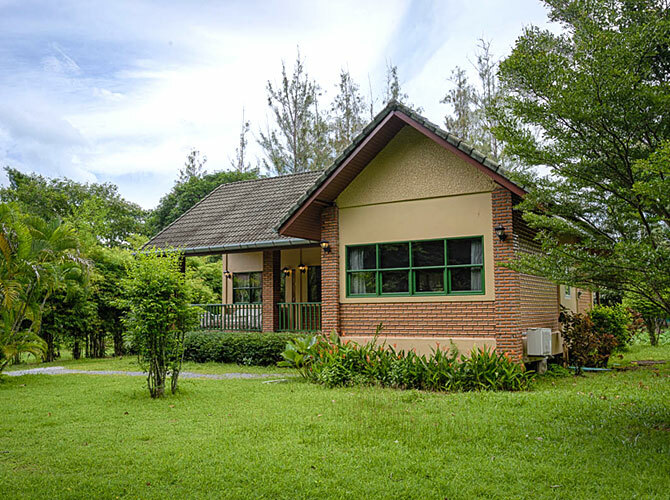 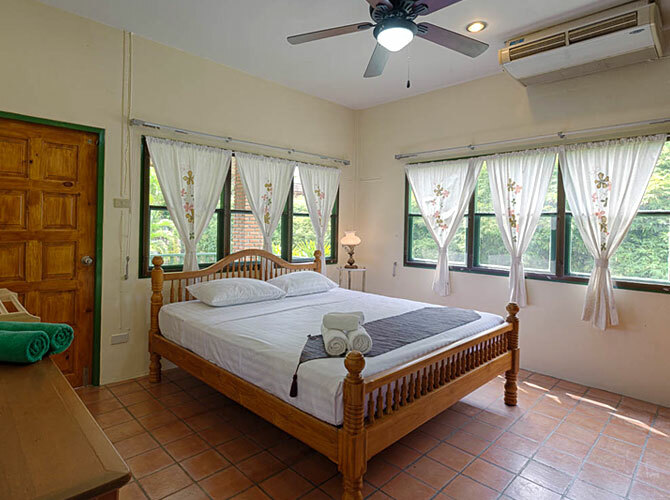 A great choice for families to stay long term in Phuket located near a wide choice of shops and restaurants in Chalong.